Mercato Monti – This market is a perfect place to buy gifts and souvenirs. 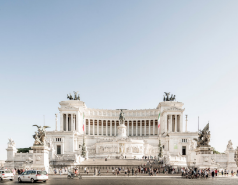 If you are tired of the typical key-chains and the classic statues of the Colosseum, go to Mercato Monti, there you will find a whole host of handmade and unique items made by local artisans. 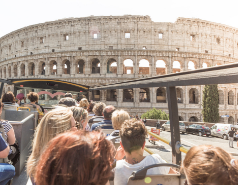 The nearest stop of the Roma City Tour panoramic bus is the one named Colosseo. Porta Portese – In this historical and enormous market of Porta Portese, located at Trastevere quarter, you will be able to find a lot of different things, new items or even second-hand products. You will be able to get there easily from the stop Circo Massimo. Definitely, a must-see. Mercato Trionfale – It is one of the biggest markets of fruits and vegetables of Italy and Europe. There you will find high quality foodstuff. Not only vegetables but also honey, jam, eggs… Beside the traditional ones, you will also find a lot of stands with organic products. 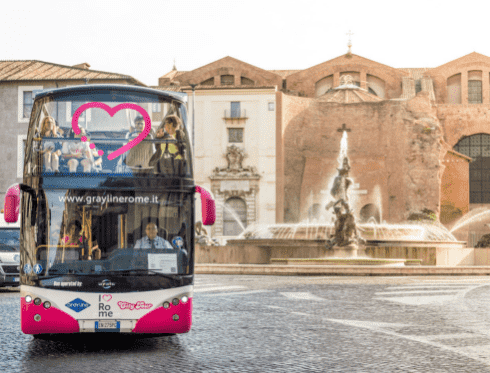 The nearest stop of the tourist bus is Città del Vaticano. Mercato di Campo de’ Fiore – At this market located at the historic center of Rome you will find anything you can imagine. Although at first it was a market of fresh foodstuff, nowadays you can find different things: from fruits, vegetables, flowers, spices, oil…, to umbrellas or home items. To get to this market, get off the bus at the stop Piazza Venezia. Take the most of the advantages of the hop-on hop-off service offered by City Tour Worldwide in this city. Visit the points of interest and get lost around the Roman markets. They will surprise you.